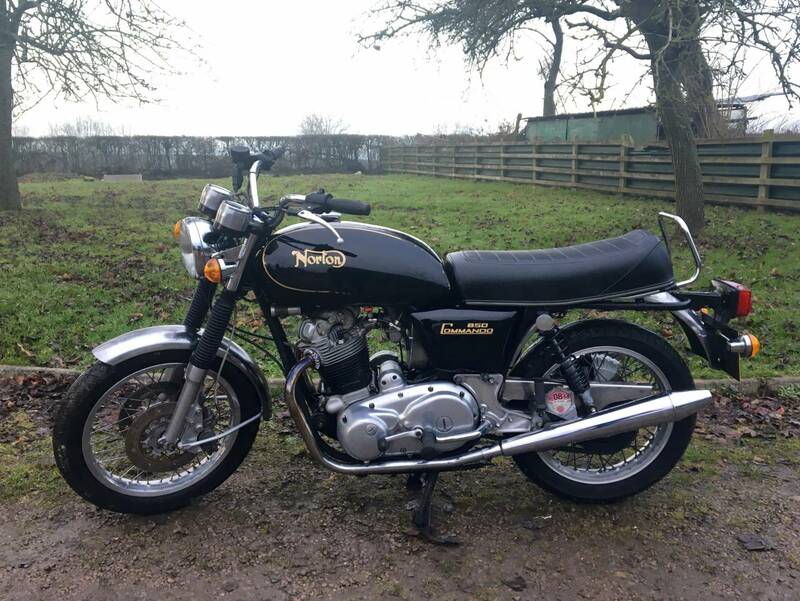 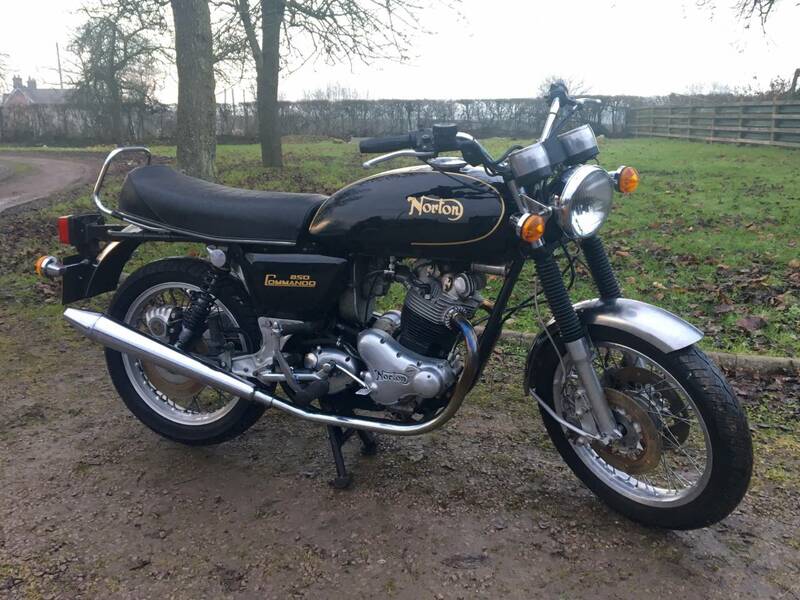 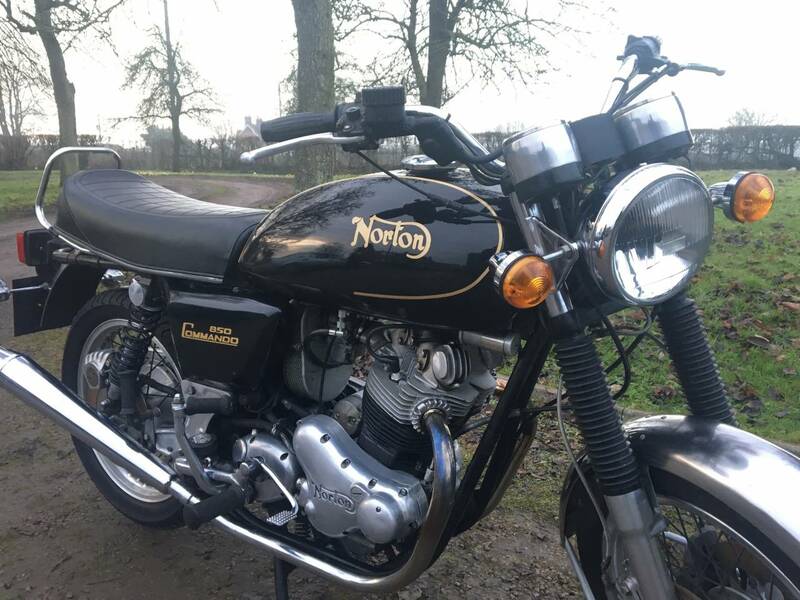 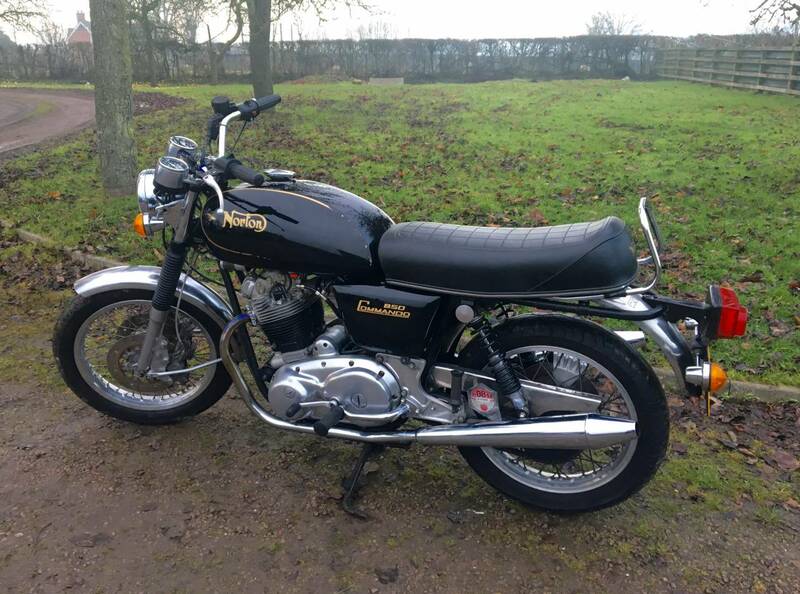 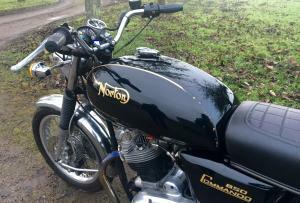 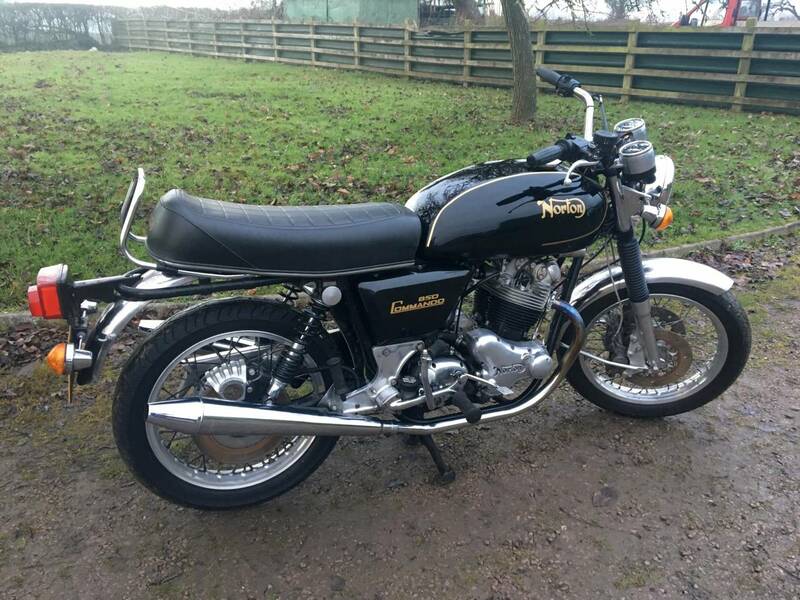 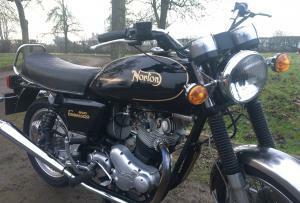 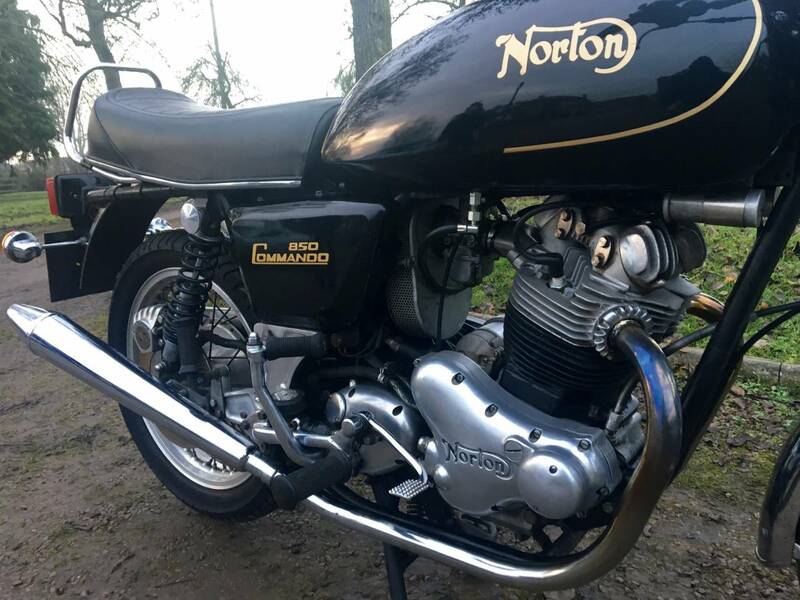 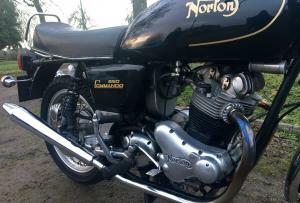 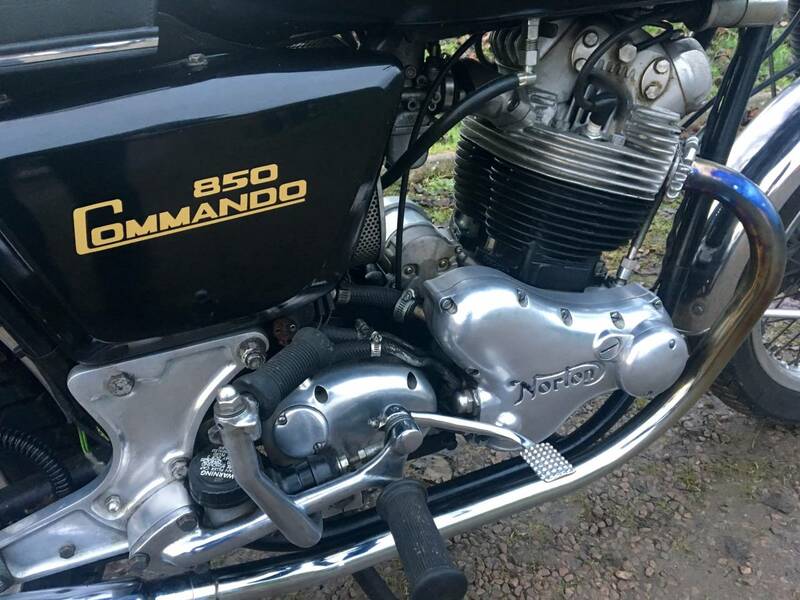 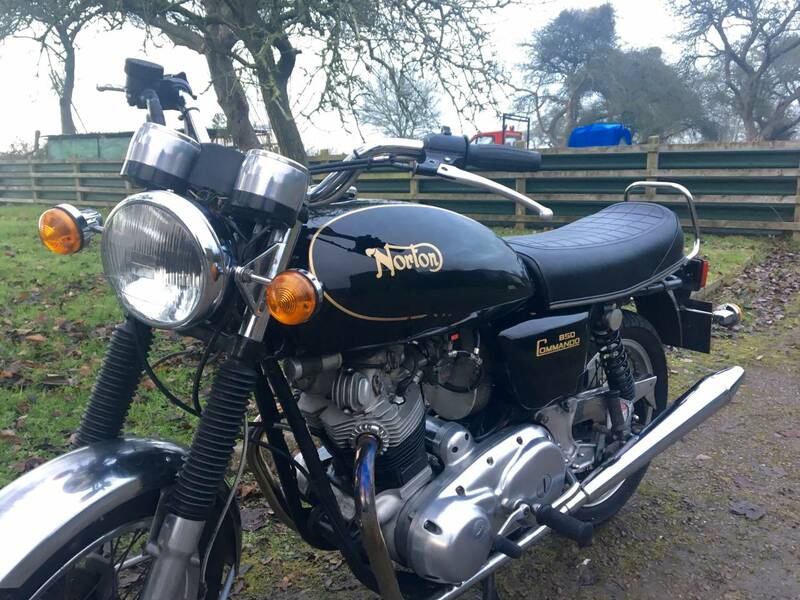 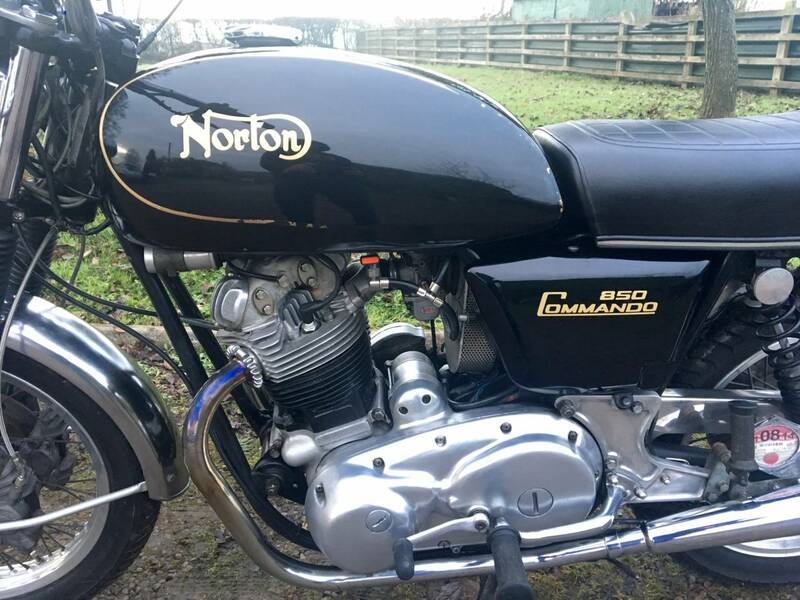 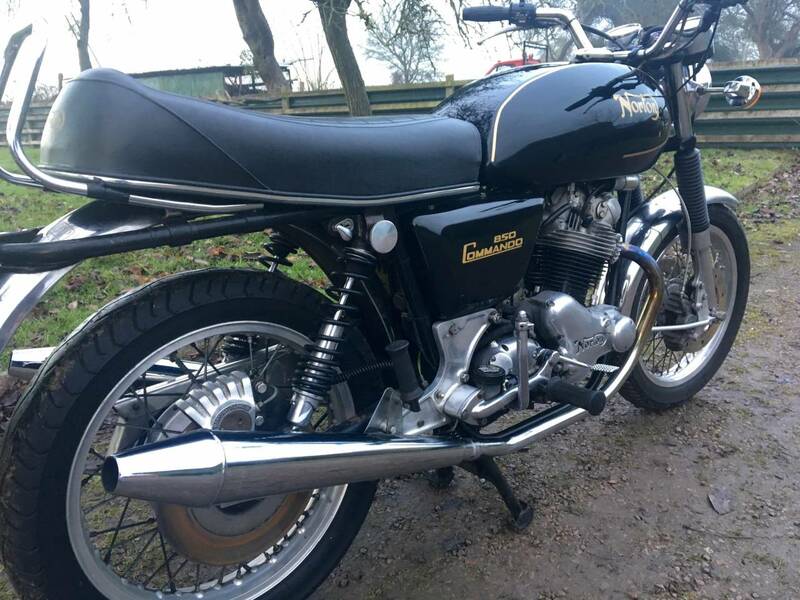 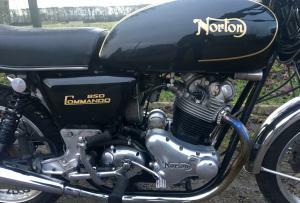 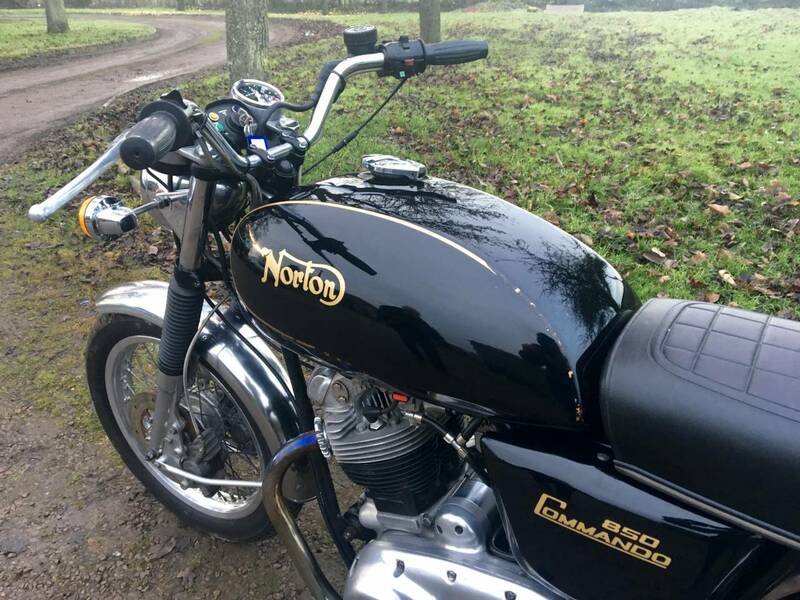 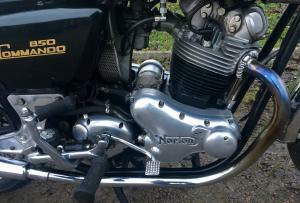 Norton Commando MKIII Interstate 1976 . 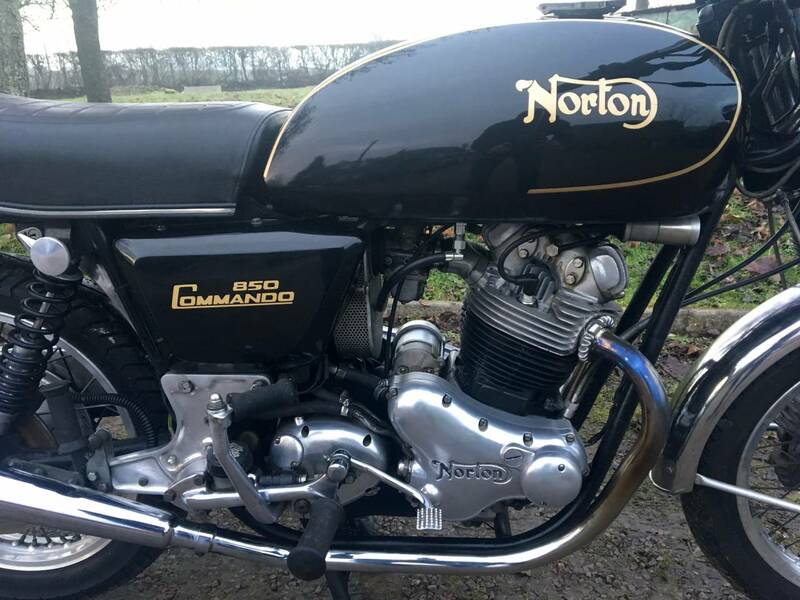 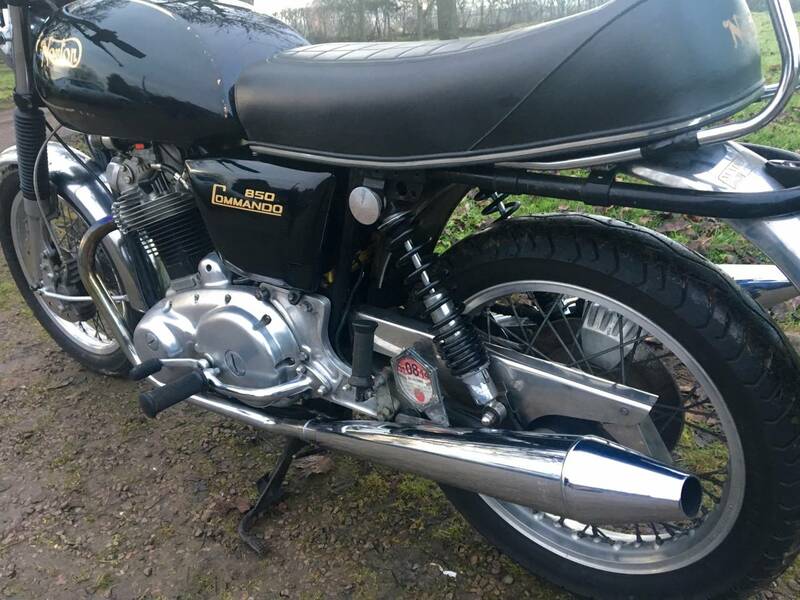 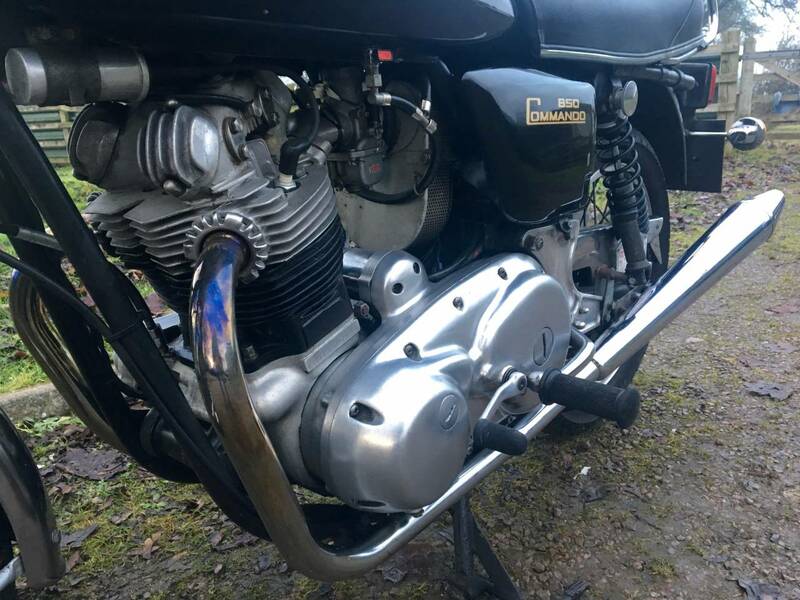 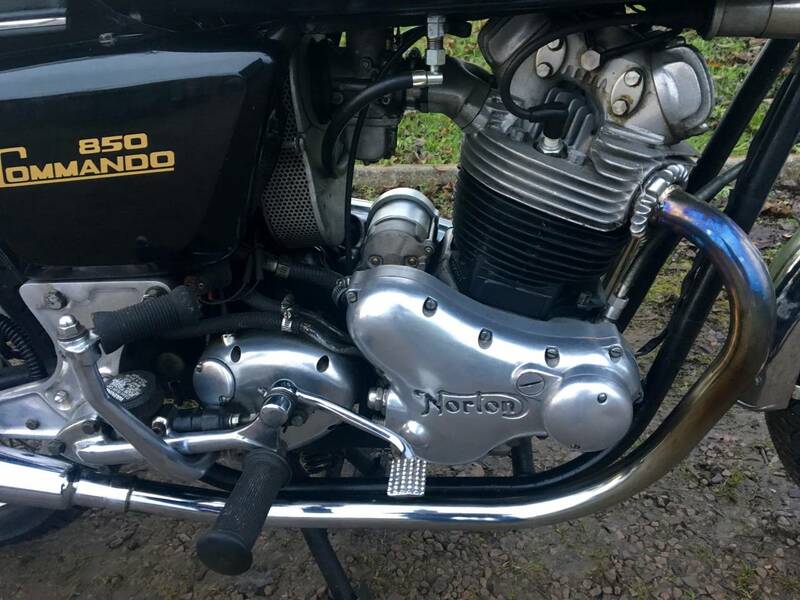 This Is A Superb , Rare Electric Start Model , Restored With Over £10 k's Worth Of Receipts With Many Useful Upgrades ... To Name A Few , Norman White Twin Disc Setup , Full No Expense Spared Engine Rebuild , By Norman White , With PW3 Cam , Mikuni Carb , All Undertaken 3500 Miles Ago , Boyer MK 1V Electronic Ignition , High Output Starter Motor . 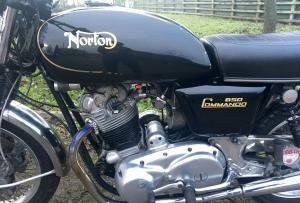 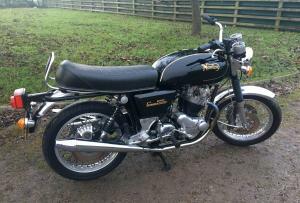 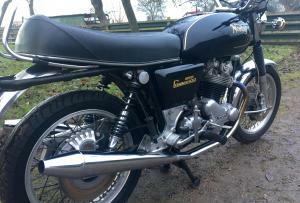 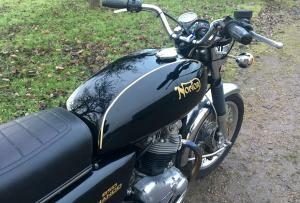 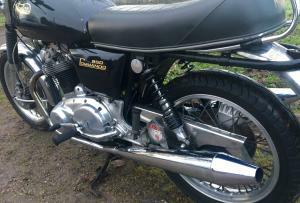 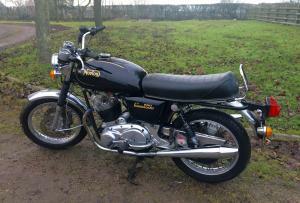 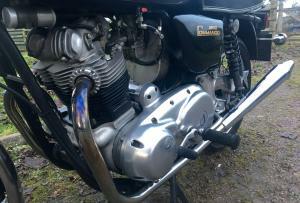 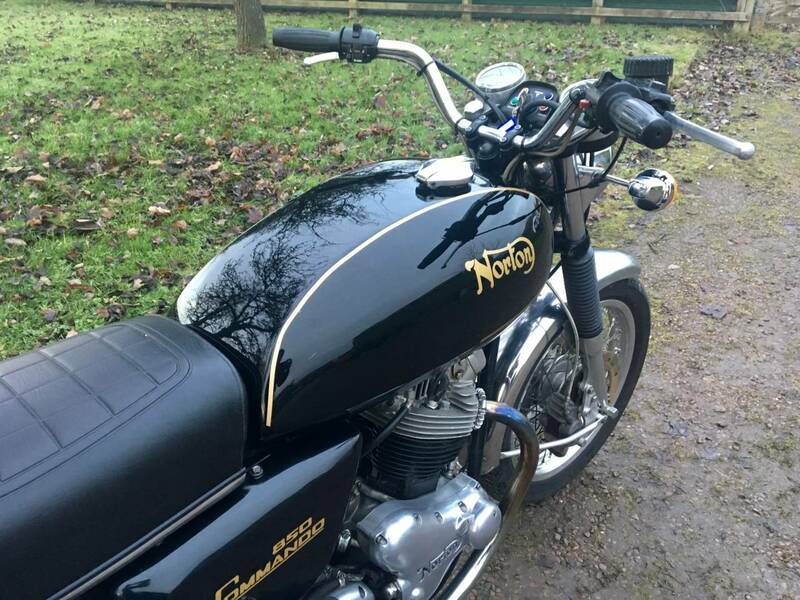 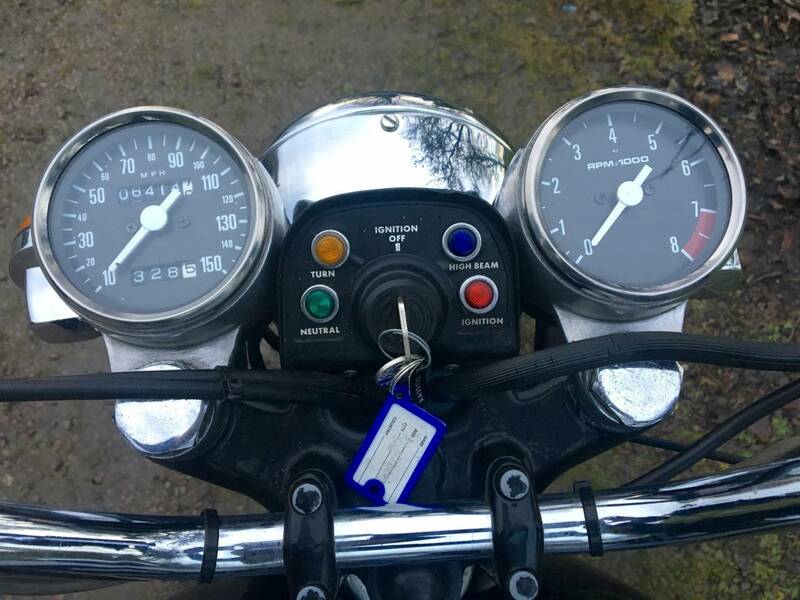 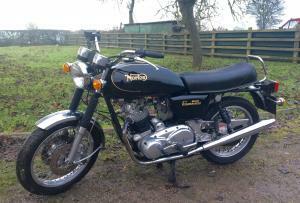 This Is An English Bike , With Matching Numbers And Has A Huge History File , With All The Work Carried Out . 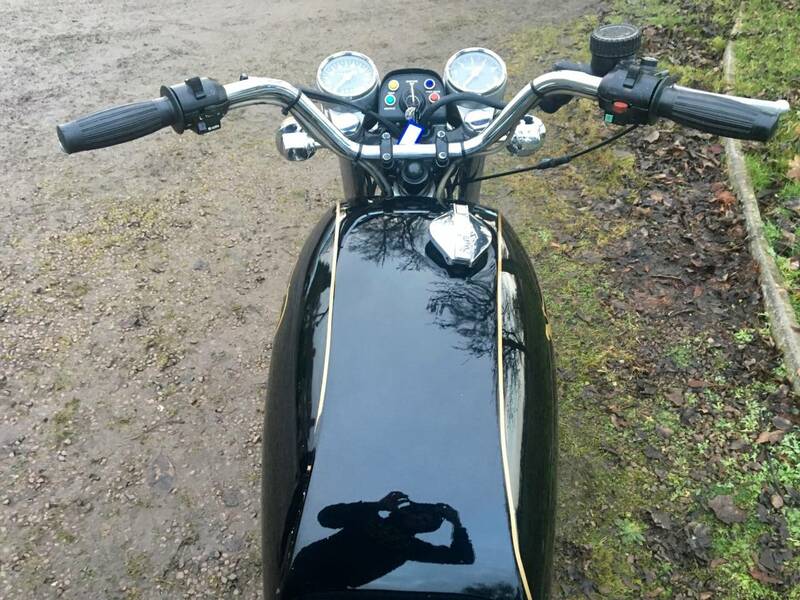 Starts Easily , With A Mechanically Quiet Motor , Ticks Over Immediately And Revs Cleanly And Powerfully , Throughout The Rev Range . 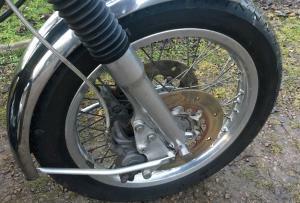 This Is A Superb Example , Which Goes Like A Rocket And Stops Equally Well Too . 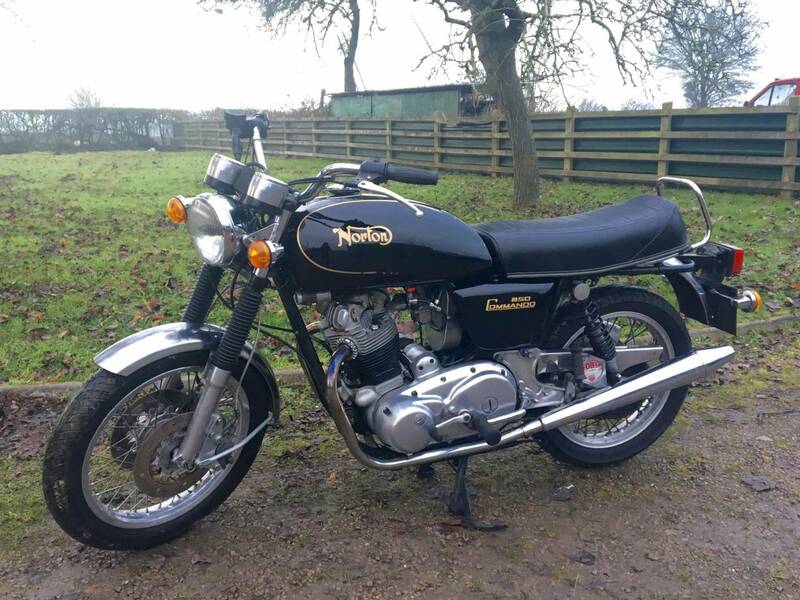 Probably The Best Upgraded Model On Offer . 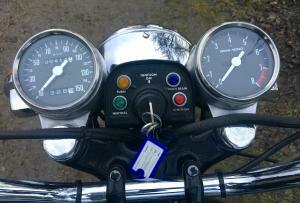 Used Regularly And Ready To Go , With New Spares i.e. 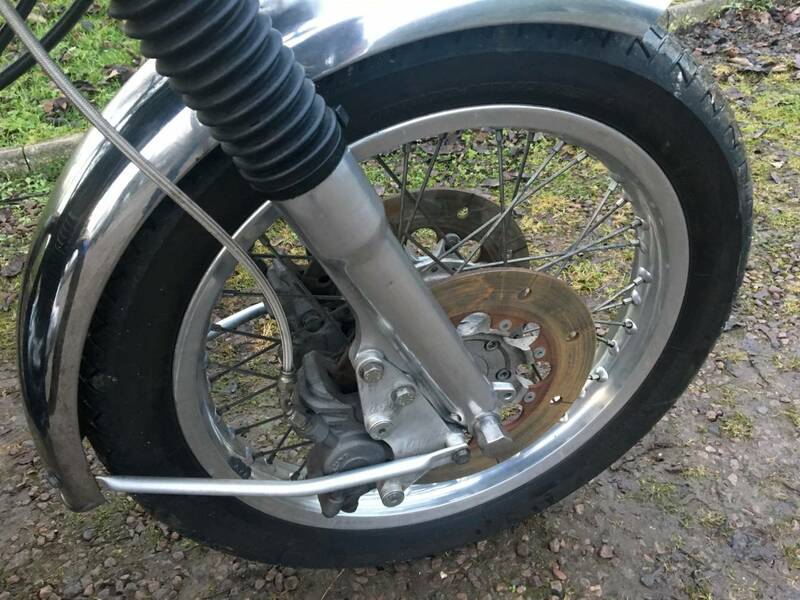 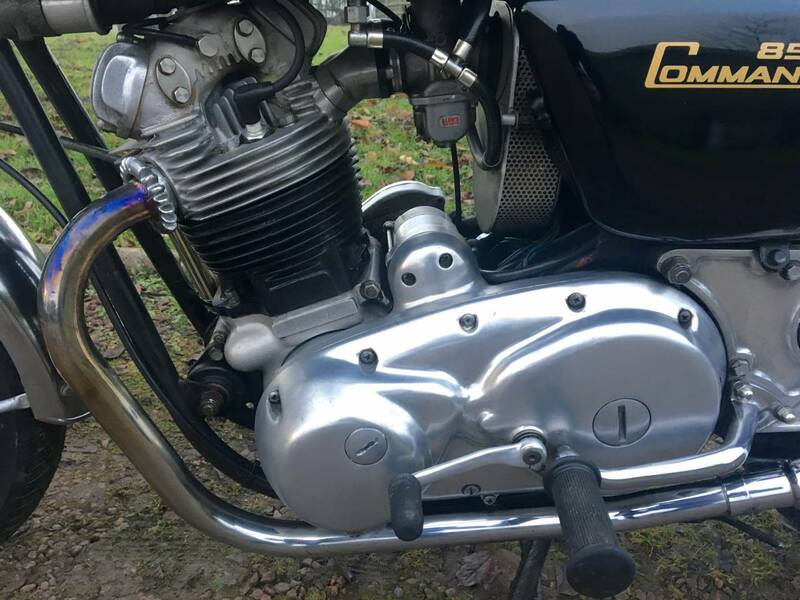 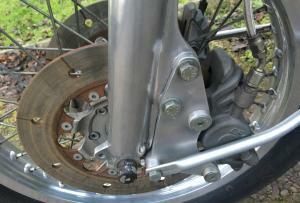 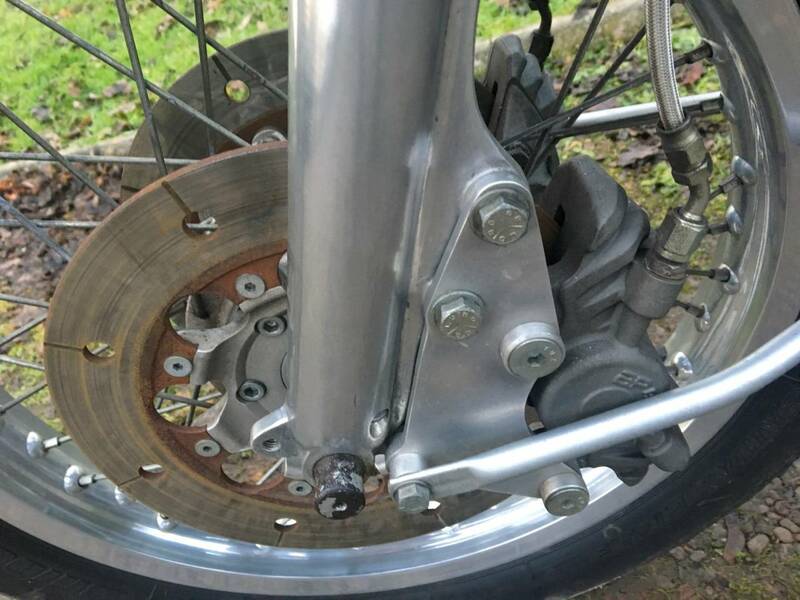 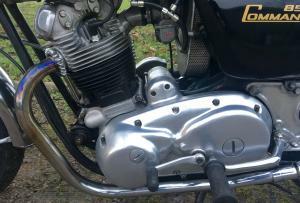 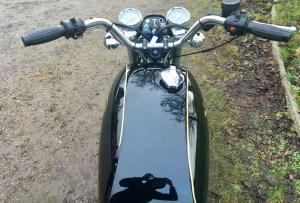 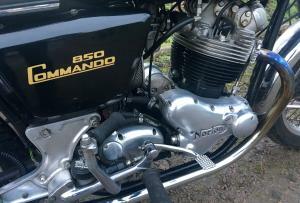 New Rear Disc , Original Mirrors , Etc . 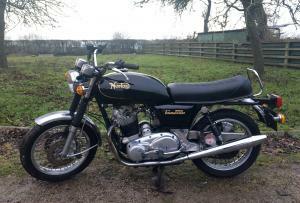 This Is A Great Bike And A Superb Investment . 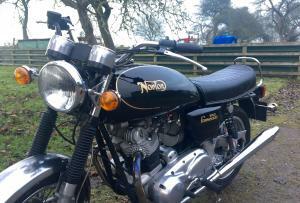 BARGAIN As Selling At Far Less Than The Purchase And Restoration Cost Of £20 k !